Find the perfect place to begin a new JAMstack site. Deploy a template site to Netlify with just one click. The site’s code will automatically populate as a new folder in your Git repository so you can explore, edit, and update so it works for you. All for free. 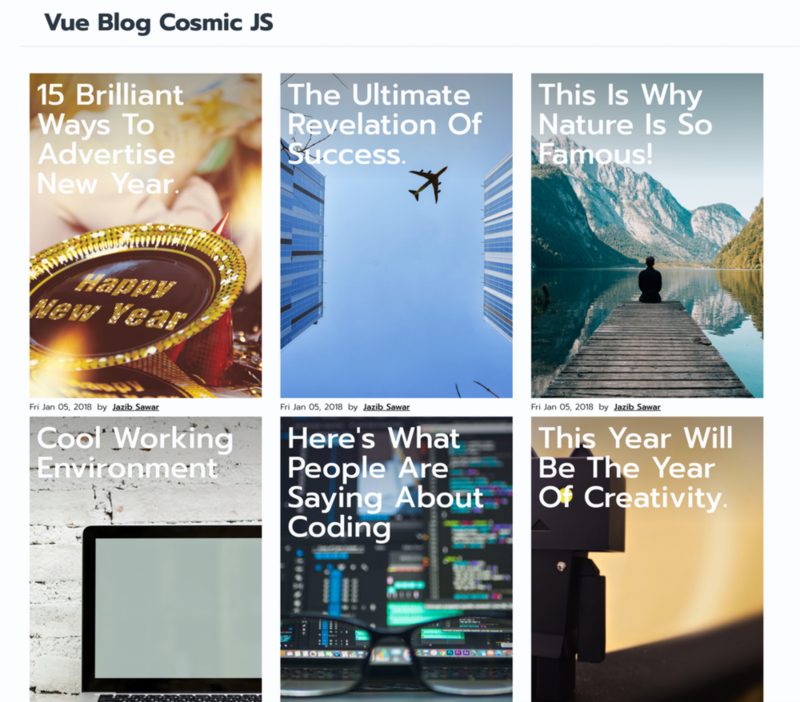 A simple Vue.js template for creating a fast, beautiful blog on Netlify powerd by the Cosmic JS Headless CMS for content editing. What happens when you Deploy to Netlify? Once you click the Deploy to Netlify button you’ll be dropped into a simple signup workflow. Connect your Git repository and hit save, and Netlify will deploy the site to a global content delivery network. You’ll receive a link to your live site’s URL.